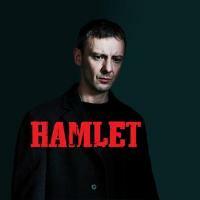 So part two of the Hamlet week saw me making my first ever visit to Sheffield to the Crucible Theatre where director Paul Miller has reunited with frequent collaborator John Simm in tackling Shakespeare’s epic. I have resisted making any comparisons with the two productions in this review and tried my best to approach the writing of this review as if I had not seen the other. This Hamlet is very much back to basics, very few props and frippery onstage, so that quite often what we are seeing is simply just a group of actors acting. And whilst on the one hand that was nice to see, on the other, it did mean that there was a whole lot of just standing around and the limited emotional palette with which they had to work meant that too often the connections just weren’t there between the characters, Ophelia and Laertes might as well have been strangers for example. Nor was there the real sense of where we were in terms of what is happening in and around this Elsinore: Tom Scutt’s effective split-level set with its changing facades was nicely done if palatial rather than castle-like (and the falling snow harked back a bit much to Law’s Hamlet for me) but elsewhere there was no real concession to the state of war apart from a cannon shot or two towards the end and the programme note that we were actually in 19th century Eastern Europe seemed to bear no relation to anything on the stage. Part of the problem lies in the staging: because the stage is bare, the soliloquies end up being delivered just as the rest of the text, there’s no differentiation, and combined with the limited range that Simm displays, it all sadly becomes a bit samey. At times, this is just right, the strong sarcastic humour displayed is brilliant when dealing with the duplicity of his friends or his encounters with his mother which crackles with cruelty and the verse is spoken with great precise clarity, but there’s little sense of Hamlet’s journey, of his wildly differing states and in particular his grief. John Nettles did well as the Ghost, some vocal effects combined with an ethereal note in his voice was a nice touch, but I found his Claudius often difficult to watch, his awkward movements and strangely pitched delivery was frankly disturbing at times. Barbara Flynn (who, in a piece of completely useless trivia, is the neighbour of my current, ever-gracious landlords, I can see her garden from my room!) also underwhelmed slightly, never really displaying enough emotion aside from guilt, but I did like Michelle Dockery’s dignified Ophelia, just a sweet girl mad with grief for her father, Hugh Ross’ amusing Polonius (he’s also the grave-digger) and Colin Tierney’s ever-faithful Horatio, a true compatriot for Simm. Costumes were very swanky, some gorgeous dresses for both Gertrude and Ophelia, sharp suits for some of the men as well but they possibly went too far in kitting Rosencrantz and Guildenstern out in very modish gear but ultimately making them look like catalogue models for Zara (although who knows, maybe this is was 19th century Eastern European men dressed like) and I wasn’t keen on the capes worn by the courtesans either. All in all, I was a little underwhelmed by this production. I admired the ethic behind it, of stripped back authenticity which suited the thrust stage of the Crucible with the audience on three sides and everyone being nicely close to the action, but it was also a big ask given the resistance to cutting too much of the text. The longer it went on, the more exposed it felt in not actually presenting enough of a fully realised world in which a wider emotional palette could have been used and consequently it ran dangerously close to being boring at times. Hmm, it sounds a bit drab, Ian. Don't think I'll bother making the journey up for this one, much as I ♥ Hamlet… Another trip to the NT production will have to do! It really wasn't helped by the fact that I was consciously having to not think about the NT. And it made me appreciate it more actually, all the little details like Polonius' delivery on a few speeches and Higgins' Gertrude as an alkie meaning that her grabbing the poisoned cup makes complete sense. Am almost tempted to give it a second viewing too!